The Talisker Whisky Atlantic Challenge is often referred to as “the world’s toughest rowing race”. Hard enough with all your body in top fitness thrown at the challenge. 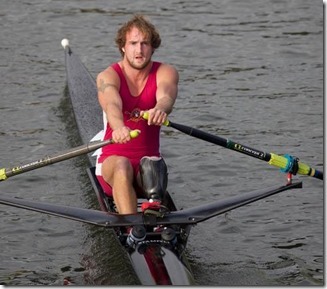 But Pararower Jordan Beecher took on the 3,000 mile odessey minus part of his leg (lost in an explosion on a tour of Afghanistan) with friend Captain Jon Armstrong. 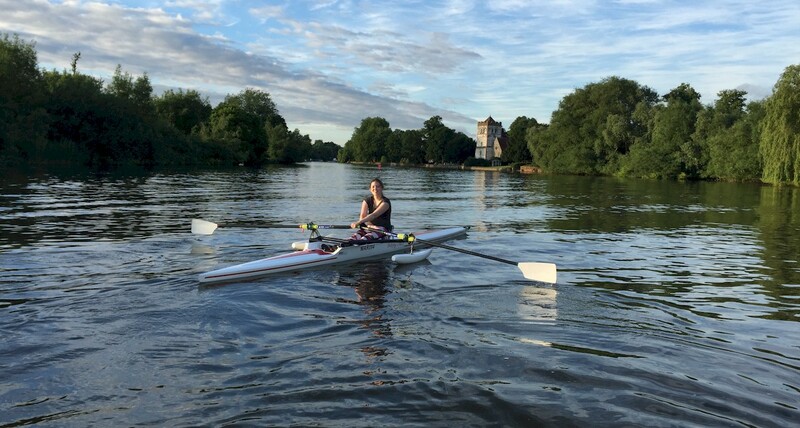 Jordan Beecher was Marlow Rowing Club’s first new pararowing member at the rebuilt clubhouse that had been designed and constructed to be one of the most accessible boathouses in the UK. 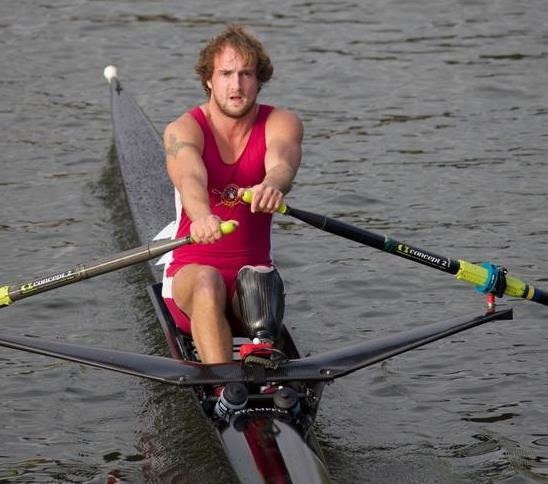 He distinguished himself winning gold and silver in the 2016 Invictus Games and double gold in the 2014 Invictus Games in the indoor rowing event and was selected for the GB Development Pararowing Squad. What is your impairment? – Single leg below knee and a partial amputation and fused knuckle of my left index finger. 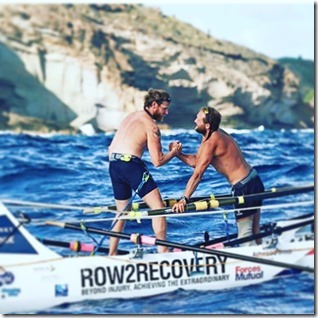 What (on earth) prompted you to think about rowing across the Atlantic? – Lots of things, firstly I was looking for some sort of sporting closure to having left the GB Rowing Team, secondly having one of my oldest friends ask me to row the Pacific and turning him down (due to my unwillingness to spend the best part of a year in a boat with him naked), when he asked me to row the Atlantic instead because “it was only about six weeks”, I couldn’t refuse and lastly because my girlfriend dumped me and at the time I could think of nothing better than the solitude of being at sea. What was the hardest part of the preparation? – Raising the money, it was the most stressful, prolonged and worrying part of the process from the initial idea up until we paid the final payment to release the boat from the company that had shipped it back from Antigua almost six months after the race had finished. How many hours a day were you rowing at sea? – The first few weeks we tried to stay two hours on two hours off so ended up rowing between ten and twelve hours a day each, how even in the final week or so due to the closeness of the race we ended up rowing one hour off, one hour together and on hour alone as well as continues stints throughout the hours of darkness together so we ended up rowing around eighteen to twenty hours a day. What food did you crave the most (of your provisions)? – Towards the end things like porridge and oats with milk. I think our body craved carbs, I finished the race having lost 17.8 Kg’s in just 37 days. What were the highest seas you encountered? – I believe around seven meters, the first few weeks were pretty punchy and caused us to capsize [ed. note – I would love to have submitted the capsize report to BR for that]. What was the lowest emotional point during the row? – When the ‘not so’ ordinary boys team passed us and went into the lead around boxing day. that was a kick in the teeth. What was the highest emotional point during the row? – The morning of the final day when we got a sat phone call from the race control, to tell us that the oardinary boys had given up their pursuit and admitted defeat. What item did you not bring that you wish you had? – A third rower. What item did you bring that you didn’t use? – Clothes, we were naked from an hour into the race a remained that way until only a few miles from Antigua. Did you see any sea creatures in the open ocean? – We saw on shark which followed us for around ten minutes, then we felt (normally by being smashed in the face), and then saw hundreds of flying fish and the most amazing thing was the sea birds that would be flying around at sea a thousand miles from the nearest land. What tips would you give someone considered an ocean row? – Planning and preparation, turn up to La Gomera finished, everything packed. Row2Recovery was the second boat and first pair into the water. we were ready to leave a week before the race started and I believe that has a philological effect on not only your own crew but on the crew around you. Were the motivations (that you listed) for going on the adventure met? – I think my expectations were met in regards to the physical challenge. I didn’t know it was going to be so hard to raise the money for sponsorship. What unexpected dividends and rewards from the adventure came to you? – The biggest dividend was the friendship between myself and Jon. Despite the challenging environment if anything our relationship became stronger rather than strained. You’ve triumphed at Invictus on indoor rowing, you’ve excelled at club rowing, you’ve broken the record for crossing the Atlantic. What’s next in your rowing career? – Got to focus on my career and pay the bills, but maybe something snowy and mountainous.